Cancer patient navigators are located across the province. Their job is to support you and your family, and help you access services. 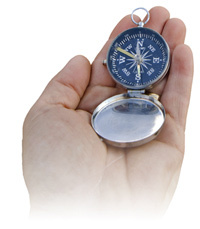 Cancer patient navigation services enable you, and your loved ones, to play a more active role in your care, creating a better experience, and connecting you to the next step in your cancer journey. Through the Cancer Care Program of Eastern Health, specially trained oncology (cancer) nurses act as compassionate and effective guides. The patient navigator offers practical help to bridge the gap and assist patients, families and caregivers understand and work through the series of treatments, services and challenges encountered on their cancer journey. Cancer patient navigators are highly resourceful. They can help problem solve, assist with counseling and coordinate supportive care services through referrals. Navigators are trained to anticipate, address and overcome barriers to care and help with timely access to services. 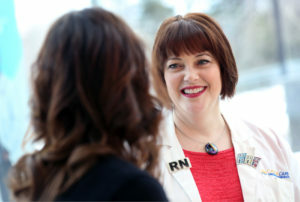 The palliative care nurse navigator is a nurse who has vast knowledge of palliative care services, and who is of great assistance to any patient or family member inquiring about available services. To contact the palliative care nurse navigator, please call: 709-777-7303 or toll free at 1-855-690-7303 . Eastern Health’s Aboriginal patient navigators assist Aboriginal patients throughout the province navigate the health-care system. For more information, or to contact an Aboriginal patient navigator, please call: 709-777-2199 or 709-777-2110 .